I think of him as the punk rock entrepreneur. 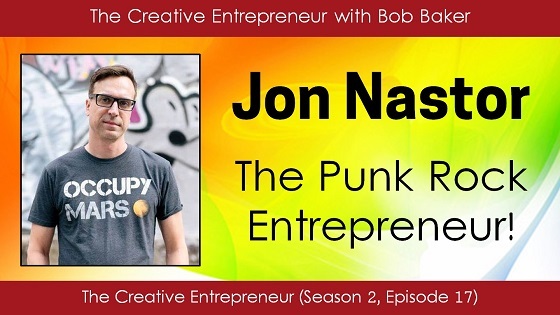 Jonny Nastor took the DIY punk music ethic of his teens and twenties and ended up applying it later to his business life. Today he hosts the wildly successful "Hack the Entrepreneur" podcast, even though he hates the sound of his voice. His first time out of the gate as an author resulted in several thousand copies sold of his Hack the Entrepreneur book, even though he never considered himself to be a great writer.